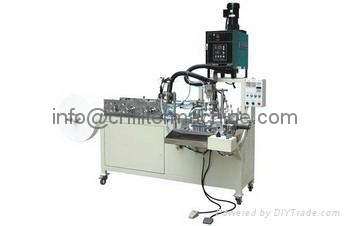 This machine is suitable for CAV type filter element winding. 1.Can freely adjust the winding speed to appropriate tightness according to the size of coil diameter. 2.Through managing the three-stage counter and approach switch to obtain diversified coil diameter. 3.This machine can corrugate double layers of fuel filter paper. 4.All the electric elements use advanced products from abroad and have a long working time.